One of the more popular Mercedes-Benz vehicles, with over 150k models sold across America since its 2013 inception, the affordable CLA four-door coupe has been a huge success for the German automaker. Considering that success, it wouldn’t have been a surprise to see Mercedes-Benz engineers leave well enough alone in their design of the 2020 CLA model; but resting on laurels is not in Mercedes-Benz’s genetic makeup. Instead, after the all-new CLA Coupe debuted at the 2019 CES in Vegas, it’s quite clear that Mercedes-Benz fans will be treated to a second-generation luxury compact car that will undoubtedly redefine the segment. And it all stems from the CLA’s inclusion of the innovative MBUX infotainment system. 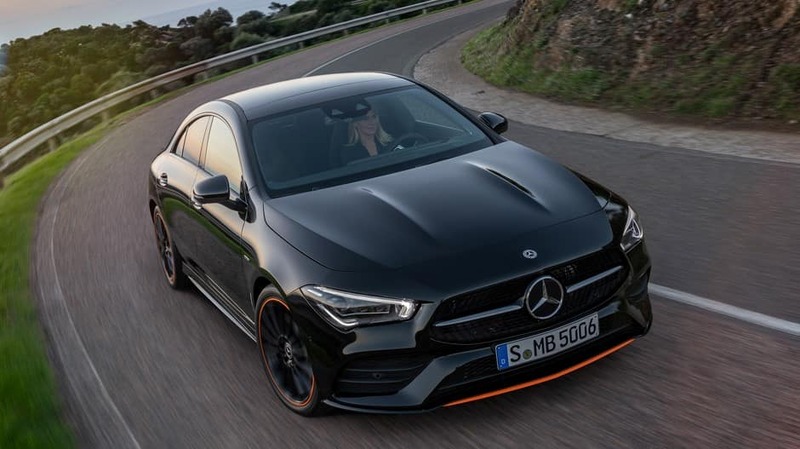 Here’s what to expect from the upcoming 2020 CLA Coupe when it goes on sale at our San Antonio Mercedes-Benz dealership later this year. Perhaps the 2020 model’s most significant improvement over the outgoing CLA Coupe is the implementation of MBUX, or Mercedes-Benz User Experience. This infotainment system was introduced in the Mercedes A-Class Sedan last year and now finds its way into this four-door coupe. The 2020 CLA will share a handful of A-Class features, including a similar cabin and the same all-new underpinning. Using state-of-the-art voice technology, MBUX allows users to not just speak commands but have conversations with the AI robot on the other side. All it takes is a simple salutation and command: “Hey, Mercedes. I’m sweating.” The CLA will then automatically pump the A/C up. Users can even get answers to complex questions – “What’s the wait time like at Mercedes-Benz of San Antonio’s service center?” – as MBUX pulls real-time information straight from the internet. MBUX also responds to hand gestures made by drivers and passengers. When motioning toward the freestanding 10.25-inch touchscreen, the CLA will brighten the display and allows users to make selections without leaving finger smudges on the screen. If you reach down into a central storage compartment or phone cubbies, the CLA will turn on ambient dome lights. If there’s any question as to what in-vehicle infotainment will be like in the future, just test drive a 2020 CLA Coupe and get to know the Mercedes-Benz User Experience system. New CLA 250 models will be powered by a 2.0-liter turbocharged inline-four that makes 221 horsepower and 258 pound-foot of torque, putting it ahead of the current CLA Coupe. Married to a seven-speed dual-clutch transmission, the 2.0L turbo-four can reach a top speed of 130 miles per hour. The latest CLA four-door coupe is awash in active-safety and semi-autonomous features, including Active Brake Assist, ATTENTION ASSIST®, Active Distance Assist DISTRONIC®, PRESAFE® PLUS and Impulse Side, and Active Emergency Stop Assist, among others. Inside, the 2020 CLA Coupe will include a new-gen Touchpad in the center console, as well as a panoramic moonroof, a duo of standard 7.0-inch dash-inset screens (10.25-inch screens are optional upgrades), more headroom than the outgoing CLA, and available 64-color ambient lighting. Get ready to experience greatness, as the all-new 2020 CLA Coupe will be available at Mercedes-Benz of San Antonio in late 2019. For details, pricing, or to schedule your CLA test drive, contact our sales team at (210) 920-3235. Until then, feel free to stop by our San Antonio Mercedes-Benz dealership at 9600 San Pedro Ave to browse our selection of new Mercedes cars for sale near New Braunfels or discuss your Mercedes-Benz financing options.